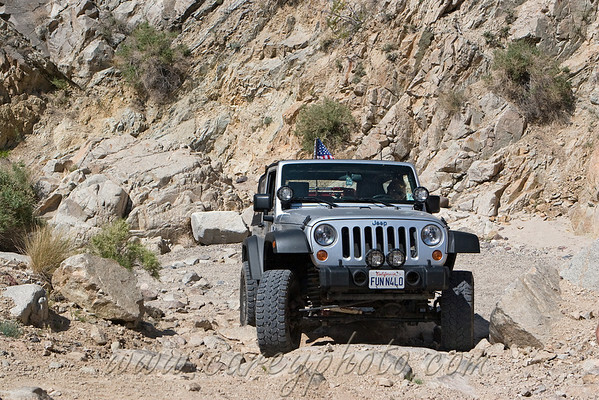 Group jeep run through Last Chance Canyon and Nightmare Gulch in the north Mojave Desert. You can see all of the photos - not just jeeps ;)- in the gallery on my website here or read about it on my blog here. FunN4Lo climbing out of the wash in Last Chance Canyon.